Human Rights, Another Form of Western Imperialism? In our last post (Are We Morally Obligated) on Tim Keller’s recent book Making Sense of God: An Invitation to the Skeptical we dug into the issue of the foundation for morals … with a rather vigorous discussion in the comments. In the next chapter Keller digs in deeper, and suggests an important role for religious belief in general and Christian faith in particular. Many countries and peoples around the world see this document as a form of Western Imperialism. Why should people have a right to change religion? Why should involuntary marriage be prohibited? Why isn’t torture a valid way to get information? (oh wait, maybe even some Westerners have problems with this one!) and we could go on. The more fundamental question is clear … why do humans have any “rights” at all? Capacity arguments are often advanced, but these leave the very young, the very old, and the disabled at risk. Why do these people have rights? Keller discusses two case studies for the foundation of human rights. The first, advanced by Harvard Philosopher John Rawls is based on the notion that rights should be “status blind.” That is, a rational society will base inalienable human rights on the best outcome for everyone no matter their station in life. If we had to set up a society and then were placed into it by a random luck of the draw, how would we arrange the structure of the society? Keller, citing other writers, including a Harvard political philosopher, suggests that this is insufficient because all notions of justice involve judgments of one sort or another. The argument that human rights are “rational” and trampling on rights “irrational” simply doesn’t work. 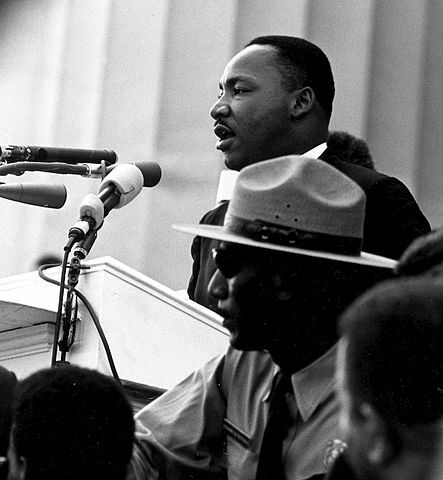 The second case study comes from Martin Luther King Jr. His argument for desegregation wasn’t based on a rational argument. It was based on a deeply moral argument. Human rights are only inalienable if they are real – endowed in the nature of the cosmos – rather than merely rational. a uniqueness, it gives him worth, it gives him a dignity. And we must never forget this as a nation: there are no gradations in the image of God. Every man from a treble white to a bass black is significant on God’s keyboard, precisely because every man is made in the image of God. A nonoppressive absolute. This isn’t to deny that religion has been used as a bludgeon of oppression rather than a tool for justice. Certainly the Christian church has used “biblical truth” to marginalize and demonize peoples. Other religions have been equally oppressive at times. Keller finds that Christian faith does offer a way forward. He uses Richard Bauckham’s “illuminating essay” Reading Scripture as a Coherent Story in The Art of Reading Scripture to frame the discussion. First, the Christian story does not give us “all the answers.” Keller turns to one of my favorite books as illustration. “Job’s friends smugly think they have the ways of God figured out … However, at the end of the book of Job, they are condemned by God. God alone has the full perspective on things. We only see in part.” (p. 205) We should retain humility and realize that we do not have all the answers. Finally (and most importantly), the Christian story is a story of reversal. God repeatedly chooses the lesser person, second or later sons: Isaac not Ishmael, Jacob not Esau, Joseph and Judah not Reuben, Moses not Aaron, David not the older sons of Jesse, and so forth. The OT affirms justice for the poor, widow, the orphan, and the foreigner among you. The ultimate reversal is a Messiah who is crucified by the power structure for the sins of the people. Keller may go overboard a little here, but there is no doubt that the Bible is the story of the work of God with his fully human people. The heroes in general have obvious feet of clay. David, a man after God’s own heart, failed miserably on occasion. Justice for the poor and oppressed is at the heart of God’s story and the Christian story. Keller is clear here. If there is no Creator, if we are not all made in the image of God, then perhaps so-called “universal human rights” are simply another form of Western cultural imperialism. Good for us, but no ground for imposing them on other societies in other situations. But perhaps the framers of the Declaration of Independence (even those who were rather liberal in their belief) and Martin Luther King Jr. have it right. Inalienable human rights are universal because we are all, male, female, young, old, of all nations and races, created in the image of God. 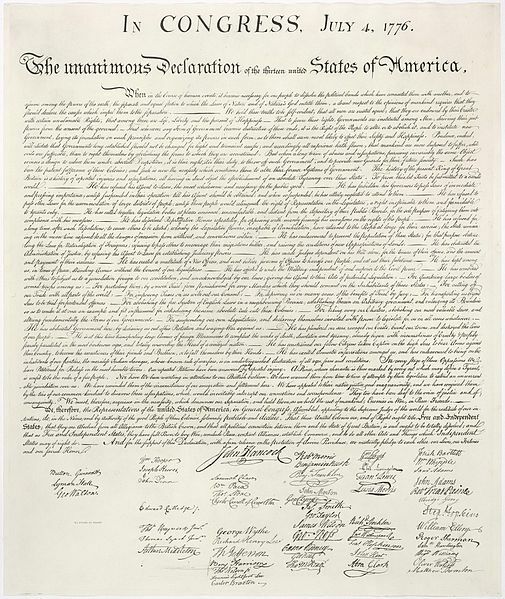 Of course, even those who signed the declaration got it wrong in places … as many were slave holders and/or oppressive of other creeds or races. Nonetheless – the foundation is there. What is the foundation for human rights? Is a violation of human rights immoral or irrational? Why are they universal (or aren’t they)? You may also comment on Human Rights, Another Form of Western Imperialism? at Jesus Creed. This entry was posted in Humanness, Problems for Faith, Public Issues and tagged Tim Keller. Bookmark the permalink.